Essential oils that are styptic help to stop bleeding. They are easy to apply and keep well for a long time in cool, dark conditions of storage. Have at least a few of the these oils on hand for first aid applications. 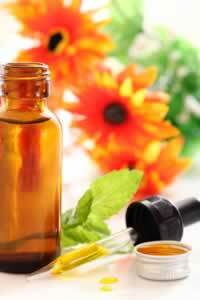 Recipe Instructions: :Use 2 t0 3 drops of any of the following oils on a tissue to help quench a nosebleed. Lie down, or tilt your head back and pinch nostrils slightly.